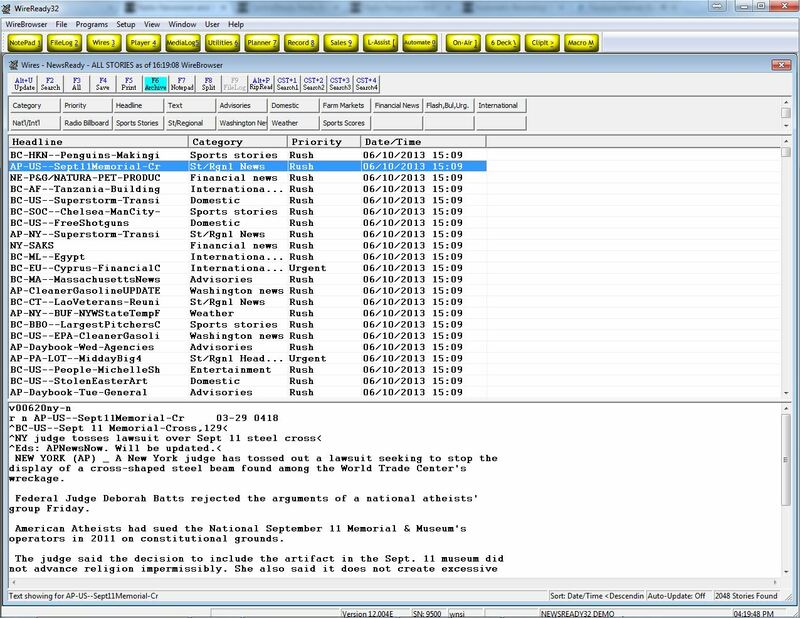 The NewsReady32 software opens into the WireBrowser by default and displays all the incoming stories. When the screen is split, you can view both the individual story details AND the latest stories in the WireBrowser at the same time (the news stories displayed in this screenshot are not current and are for example purposes only). There are 20 custom search hot buttons across the top to help you find the types of news you need quickly, and additional custom searches can be easily configured at any time by any user. It is easy to move from finding the news in the WireBrowser to working with the news building newscasts and rundowns using the Rip & Read button. All of our buttons have keyboard commands to make it as fast as possible to get the news ready for air!